This course covers the essential information that every serious programmer needs to know about algorithms and data structures, with emphasis on applications and scientific performance analysis of Java implementations. Part I covers elementary data structures, sorting, and searching algorithms. Part II focuses on graph- and string-processing algorithms. 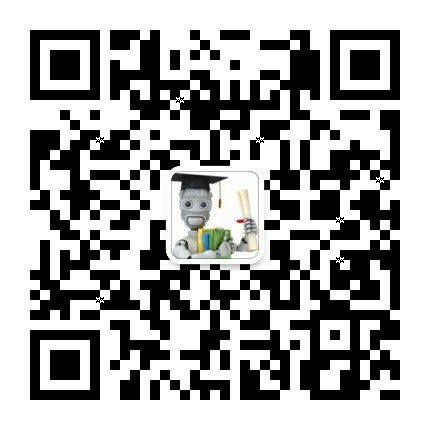 斯坦福大学的算法专项课程系列（Algorithms Specialization），这个系列包含4门子课程，涵盖基础的算法主题和高级算法主题，此前评价非常高，五颗星推荐，感兴趣的同学可以关注: Learn To Think Like A Computer Scientist-Master the fundamentals of the design and analysis of algorithms. Algorithms are the heart of computer science, and the subject has countless practical applications as well as intellectual depth. This specialization is an introduction to algorithms for learners with at least a little programming experience. The specialization is rigorous but emphasizes the big picture and conceptual understanding over low-level implementation and mathematical details. After completing this specialization, you will be well-positioned to ace your technical interviews and speak fluently about algorithms with other programmers and computer scientists. About the instructor: Tim Roughgarden has been a professor in the Computer Science Department at Stanford University since 2004. He has taught and published extensively on the subject of algorithms and their applications. The primary topics in this part of the specialization are: asymptotic ("Big-oh") notation, sorting and searching, divide and conquer (master method, integer and matrix multiplication, closest pair), and randomized algorithms (QuickSort, contraction algorithm for min cuts). The primary topics in this part of the specialization are: data structures (heaps, balanced search trees, hash tables, bloom filters), graph primitives (applications of breadth-first and depth-first search, connectivity, shortest paths), and their applications (ranging from deduplication to social network analysis). The primary topics in this part of the specialization are: shortest paths (Bellman-Ford, Floyd-Warshall, Johnson), NP-completeness and what it means for the algorithm designer, and strategies for coping with computationally intractable problems (analysis of heuristics, local search). This specialization is a mix of theory and practice: you will learn algorithmic techniques for solving various computational problems and will implement about 100 algorithmic coding problems in a programming language of your choice. No other online course in Algorithms even comes close to offering you a wealth of programming challenges that you may face at your next job interview. To prepare you, we invested over 3000 hours into designing our challenges as an alternative to multiple choice questions that you usually find in MOOCs. Sorry, we do not believe in multiple choice questions when it comes to learning algorithms...or anything else in computer science! For each algorithm you develop and implement, we designed multiple tests to check its correctness and running time — you will have to debug your programs without even knowing what these tests are! It may sound difficult, but we believe it is the only way to truly understand how the algorithms work and to master the art of programming. The specialization contains two real-world projects: Big Networks and Genome Assembly. You will analyze both road networks and social networks and will learn how to compute the shortest route between New York and San Francisco (1000 times faster than the standard shortest path algorithms!) Afterwards, you will learn how to assemble genomes from millions of short fragments of DNA and how assembly algorithms fuel recent developments in personalized medicine. 4. 华盛顿大学的 "机器学习专项课程（Machine Learning Specialization）"
This Specialization from leading researchers at the University of Washington introduces you to the exciting, high-demand field of Machine Learning. Through a series of practical case studies, you will gain applied experience in major areas of Machine Learning including Prediction, Classification, Clustering, and Information Retrieval. You will learn to analyze large and complex datasets, create systems that adapt and improve over time, and build intelligent applications that can make predictions from data. This specialization gives an introduction to deep learning, reinforcement learning, natural language understanding, computer vision and Bayesian methods. Top Kaggle machine learning practitioners and CERN scientists will share their experience of solving real-world problems and help you to fill the gaps between theory and practice. Upon completion of 7 courses you will be able to apply modern machine learning methods in enterprise and understand the caveats of real-world data and settings. Bayesian methods are used in lots of fields: from game development to drug discovery. They give superpowers to many machine learning algorithms: handling missing data, extracting much more information from small datasets. Bayesian methods also allow us to estimate uncertainty in predictions, which is a really desirable feature for fields like medicine. When Bayesian methods are applied to deep learning, it turns out that they allow you to compress your models 100 folds, and automatically tune hyperparametrs, saving your time and money. In six weeks we will discuss the basics of Bayesian methods: from how to define a probabilistic model to how to make predictions from it. We will see how one can fully automate this workflow and how to speed it up using some advanced techniques. We will also see applications of Bayesian methods to deep learning and how to generate new images with it. We will see how new drugs that cure severe diseases be found with Bayesian methods. Want to make sense of the volumes of data you have collected? Need to incorporate data-driven decisions into your process? This course provides an overview of machine learning techniques to explore, analyze, and leverage data. You will be introduced to tools and algorithms you can use to create machine learning models that learn from data, and to scale those models up to big data problems. At the end of the course, you will be able to: •	Design an approach to leverage data using the steps in the machine learning process. •	Apply machine learning techniques to explore and prepare data for modeling. •	Identify the type of machine learning problem in order to apply the appropriate set of techniques. •	Construct models that learn from data using widely available open source tools. •	Analyze big data problems using scalable machine learning algorithms on Spark. Machine learning is transforming the world around us. To become successful, you’d better know what kinds of problems can be solved with machine learning, and how they can be solved. Don’t know where to start? The answer is one button away. During this course you will: - Identify practical problems which can be solved with machine learning - Build, tune and apply linear models with Spark MLLib - Understand methods of text processing - Fit decision trees and boost them with ensemble learning - Construct your own recommender system. As a practical assignment, you will - build and apply linear models for classification and regression tasks; - learn how to work with texts; - automatically construct decision trees and improve their performance with ensemble learning; - finally, you will build your own recommender system! With these skills, you will be able to tackle many practical machine learning tasks. We provide the tools, you choose the place of application to make this world of machines more intelligent.